Sixteen months in the big scheme of things isn’t very long. As of this writing Dave Bartholomew is 99 years of age and so for him sixteen months comprises just over one percent of his lifetime. But sixteen months is a much more substantial segment of his professional life, especially when looked at from the perspective of April 1949. It was those sixteen months between December 1947 when the second of his releases came out in a two month span, neither of which was anything special, and the spring of 1949 when he finally got another chance at making a name for himself on a national basis with release number three, that made all the difference in the world for him. While it’s still doubtful anyone would’ve predicted at this moment in time that he’d go on to be one of the most versatile and important figures in rock history, the odds were decidedly improved from when we last met him in the waning days of 1947. At that time, based on his first two records, it appeared that whatever promise he’d shown as a trumpet playing Dixieland jazz rooted bandleader that got him signed to DeLuxe Records in their trawling through New Orleans for potential hitmakers had been misplaced at best, non-existent at worst. Not so anymore. For this marks the true arrival of Dave Bartholomew who’d go on to shape the next dozen years of rock as much as any single person you could name. Producers as we think of the term today really began around 1950, though of course there were always record company representatives overseeing the recording process and determining what takes were used and so forth. For the most part they were called A&R men (unsurprisingly no women), which stood for Artists & Repertoire, or those entrusted with organizing the recording session. They often were responsible for contracting musicians if the artist did not have their own band, selecting songs and making sure things ran smoothly. That’s the producer’s job when you get right down to it but in those days their role, whatever you called it, was fairly limited when it came to really contributing to the creative end of the equation. But as the 1940’s gave way to the 1950’s two figures emerged who changed that forever. 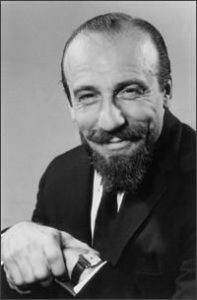 Mitch Miller, an avowed anti-rock demagogue, was hired by Columbia Records and truly brought the role of producer into the modern age. He was brilliantly innovative and hardly orthodox in his initial forays, finding material that was well outside of what was expected by the public, the record company and even the artists themselves, and then radically shaping it via his production choices, often using some quirky non-musical additive to give it a cinematic visual quality. This approach was first heard while he was still at Mercury in October 1949 on Frankie Laine’s Mule Train with a whip being cracked to suggest they were actually recording him on the open range living out the song he was singing. Miller’s fondness for such gimmicks was perfect for an era that had yet to be fully overrun by instant mass exposure, when things took longer to be heard, absorbed and to get tired of. His musical ideas appealed to a less worldly audience who were amused by a novelty aspect of a record in a time before cynicism infiltrated perception and rendered all such efforts to be beneath contempt by those who valued more artistic authenticity. But whatever your view on Miller’s quality – and make no mistake about it, nobody behind the scenes in the music industry had a greater impact on sales than he did for a decade – what can’t really be argued is his role in the growing importance of a record producer as someone with a creative vision beyond merely capturing the best take of a song in a straightforward arrangement. Ironically rock ‘n’ roll, the music he most detested, would be what took his novel approach to record production (if not the quirky aspects per say, he was certainly responsible for shifting the more of the artistic direction to those behind the control board), and claimed it for their own starting with the other notable pioneer in record production who is of course also the artist who is the focus of this review. Dave Bartholomew may not have been credited on record as producer for awhile but he was already taking on that responsibility, credits be damned, as we saw recently with Chubby Newsom’s latest sides. Those had been done by using a slightly different approach than what she’d already tackled with another New Orleans multi-talented artist turned producer, Paul Gayten, as Bartholomew set out to craft an image for Newsom beyond the sultry head-turner she’d made her name on. Though not as successful commercially as Newsom’s initial efforts it showed that Bartholomew’s ideas of how records could be made were itching to be expressed and now that he himself was back in front of the microphone as a featured artist this would be his best bet to establish his vision as he’d oversee every aspect of the record – writing the song, singing and playing on it, arranging it and deciding when all of those aspects had been achieved to his satisfaction. Though he’d record four songs that day and the decidedly lackluster poppish High Society Blues adorned the other side of this release, showing that he wasn’t completely convinced of what direction to head yet, Girt Town effectively made that ultimate decision much easier, as it charted locally around New Orleans in Cash Box, rendering any doubt as to where the future lay a moot question, and that goes for both his own future and that of music as a whole. Ironically the trumpet led intro doesn’t give a whole lot of hints as to this charting a new course stylistically, as trumpets were never going to fit too comfortably as a centerpiece of rock music, but when comparing it to the shrill squawking that epitomized his previous efforts this is a decided step up. Following that timid start however the horns have a steady percussive effect to them, a firm sense of direction and a more sonorous feel than we’re used to making this immediately stand out from the norm. They’re handling chores that are usually left to the drums or bass at the start of this, and while they do yield in that regard, playing in a much higher register and relegated more to the background once Bartholomew’s voice comes in, their initial sound sticks with you as it goes along, grounding you in a way that’s as reassuring as it is effective. Never possessing the most melodious tone Bartholomew’s unique vocal charms start to become evident here, unlike the croaking chanting found on Dave’s Boogie Woogie from back in 1947. He’s much more relaxed on this for starters, blending in well with the music and already exhibiting his distinctive way of holding notes and bending them in slightly unexpected ways, something that would become a trademark of his in short order and which gives all of his records a personal touch. It’s an engaging voice, a voice with character, almost as if you can see a faint smirk on his lips at times, or get a sense of his mind at work as he attempts to convey not just the words themselves but also hinting at the subtext lurking under the surface. Admittedly this impression might be easier to spot today, as we’ve come to have an accrued knowledge of Bartholomew’s abilities over the years, knowing full well of how astute he was musically as well as in business, but it’s hard not to get at least a sense of that intelligence on this – something confirmed in his subsequent material – simply by listening. The voice itself holds plenty of intrigue in its phrasing which suggests the character on record he’s inhabiting is sharper than those around him, but it’s also the way he’s starting to get a sense of the pacing that seemed to elude him early on. In time he’d fully master the effects of how to deliver a song – both his own and even more so the artists he oversaw in the studio – in order to maximize the tension and heighten the drama, the poignancy or the humor in the lyrics. Very few, if any, of the songs or artists he was associated with had poorly conceived or executed vocal arrangements, notably how he was able to meld them so precisely to the musical arrangement and still keep it sounding fresh. Girt Town does just that with a surprisingly light touch. What is most apparent here is his ambition. Though the song itself is simply a lament over being dumped by a girlfriend that sends him back to his hometown (the label misspelled it however, as the accurate spelling is Gert Town which housed the Graystone Club where Bartholomew once held court with his band) to drink away his troubles while surrounded by his buddies at the local tavern, the entire production builds to a point where he can show off within the context he constructed. The final half of the record, after dispensing with the story particulars that take up the first half, is where he flexes his arranging muscles for the first time. Though just a basic shuffle rhythm it’s mapped out with care, from the highlighted drums that spruce up the extended mid-song instrumental passage to the sudden group vocal exclamation “GIRT TOWWWWWNNNNN!” when the music drops out, there’s a lot of interesting ideas packed into this. Just as it seems to be fading to an early close for instance suddenly the music comes back with some spoken encouragement from Bartholomew as he yields to tenor saxophonist Clarence Hall who contributes a whimsical solo. Another shouted refrain caps that section off nicely, though it’s obviously not as unexpected as the first time around which lessens the effect ever so much, after which Earl Palmer’s brief drum solo lifts it all back up again before the horns take it down the stretch with Earl throwing in some exquisite fills along the way, subtle but entirely welcome. So… with plenty to praise both in terms of the artist’s larger career itself and the arrangement of the record in question I’m sure the expectation for its score will be fairly high. I apologize if I got your hopes up too much but it leads back to our favorite – and most crucial – aspect of these reviews… context. In the context of the spring of 1949 Girt Town may have been ahead of the curve in concept but Bartholomew had yet to fully perfect its execution for rock ‘n’ roll and that diminishes its impact. The song itself is fairly modest, the theme is hardly unusual and there’s no lyrical surprises to catch you ear. What works well is more discreet, not something that was bound to be noticed by most and in spite of the obvious creative leaps since his last appearance as an artist he still hasn’t completely shed certain jazz aesthetics from his own upbringing, making it more of a stepping stone to a higher plateau than a pinnacle of achievement. That said it’s an idiosyncratic song by design. A statement of Bartholomew’s ambitions and skill more than an effort to fully connect commercially. It’s no wonder that it did well in New Orleans where he was well-known as the top bandleader in the city and whose listeners were already well-versed in the musical quirks of the region with its amalgam of stylistic influences blending together in a distinctive gumbo, but outside of that area it was a little TOO unusual – or conversely not radical enough – to be fully appreciated. Records walk a tightrope between the artistic urges of the performers and the commercial expectations of the audience. If the end results lean too far to either side it will miss its mark. Something too ambitious that impresses fellow musicians will probably lack mainstream appeal, whereas something that simplifies things to connect with an audience may be derided by the musical community for dumbing things down. In the future Bartholomew found a way to inject complex ideas into music that seemed utterly simplistic on the surface thus allowing it to be easily grasped by listeners. In doing so he might have actually cost himself some long term credit by those who only seem to acknowledge production skills that are all too evident, tricks like Mitch Miller specialized in that were pretentious in a way in order to draw attention to themselves. Girt Town certainly can’t be called pretentious and there’s definitely a strong commercial instinct at work here, especially when comparing it to the missteps from his 1947 sessions where Bartholomew had little sense of what might sell, but he still hasn’t found that perfect balance between art and commerce. When he does, and it won’t be long now, arguably nobody in rock understood it better and applied it more consistently than he would over the course of a long and fruitful career. For the first sixteen months on the scene Dave Bartholomew was a virtual nonentity in rock’s upward climb. From now on he’d be the one leading that climb to ever higher peaks. I wasn’t impressed with this record the first few times I listened to it. Then, I started humming the horn-line when I was in a checkout line. It certainly grows on you. I can hear why this one was a hit. I’d hand a “6” (It might’ve been a “7” had Dave dropped the corny opening fanfare). Sidenote: I never would’ve expected to see Mr. “Sing along with Mitch” Miller here of all places. Like most born after 1950, I have a difficult time taking this man seriously. Regardless, he does deserve his credit as a producer, I suppose. Leave a reply on "Dave Bartholomew: “Girt Town”"